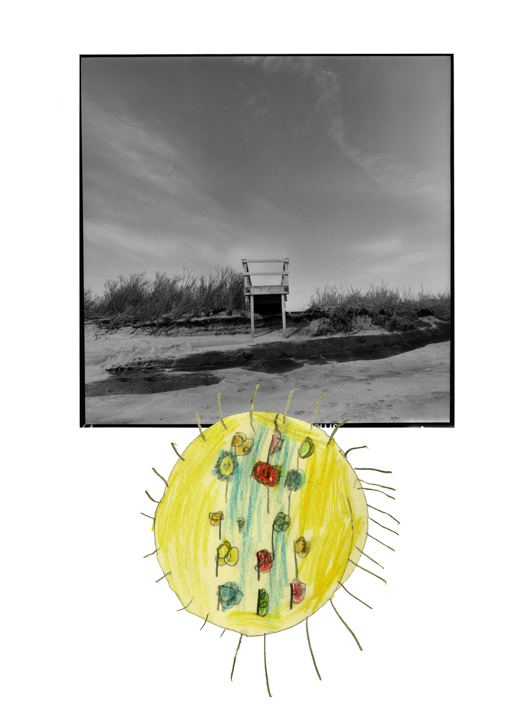 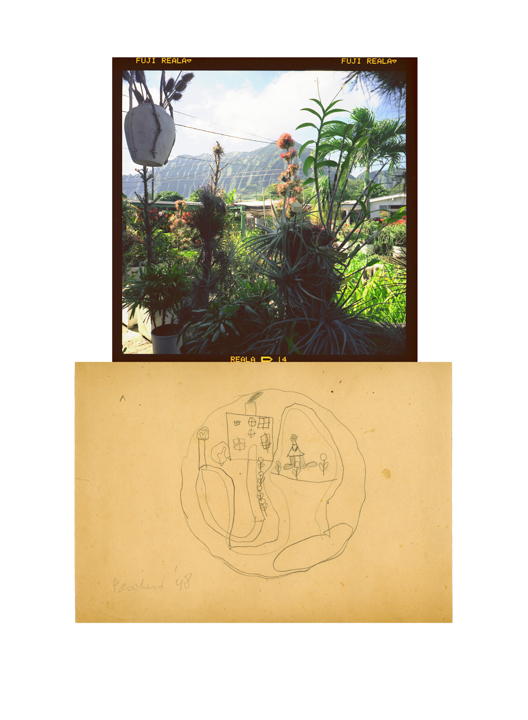 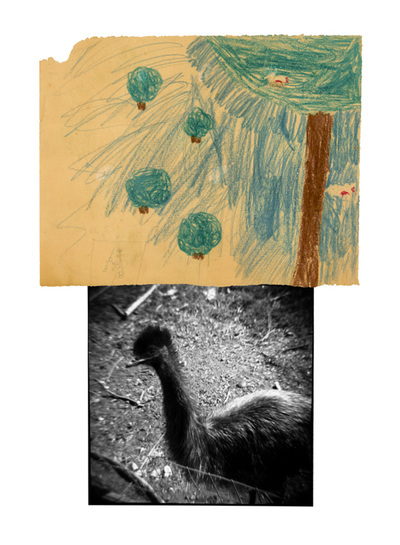 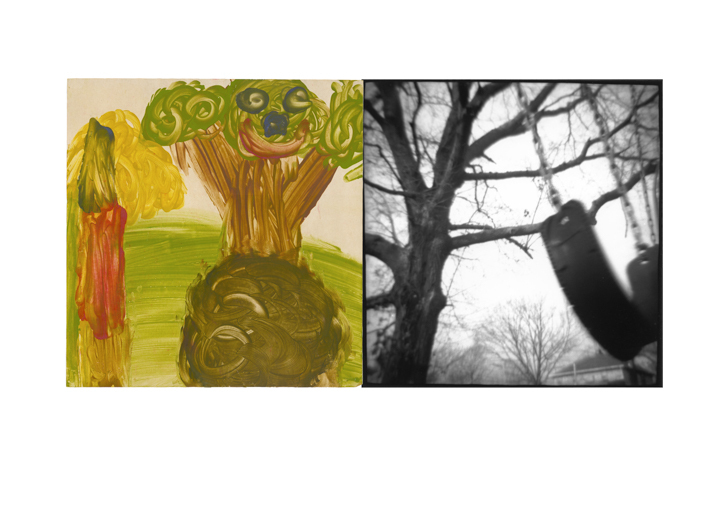 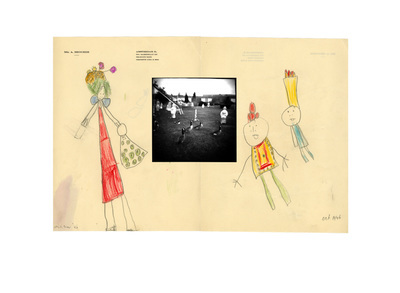 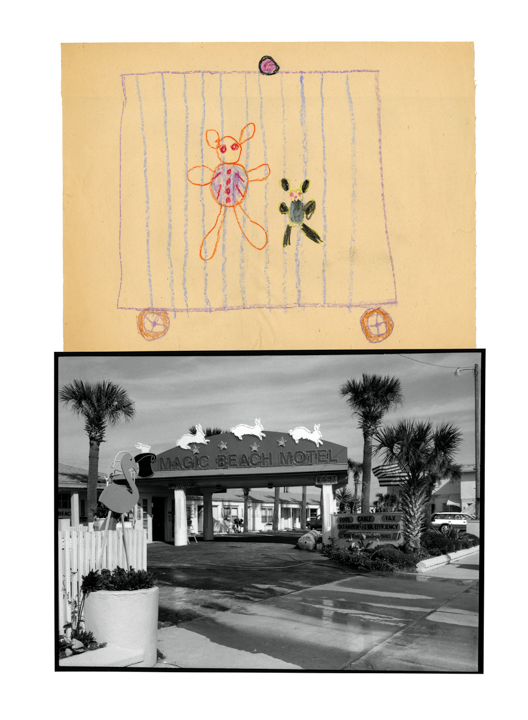 In 2001-2002 I began working with drawings I made as a child in conjunction with my own photographs. 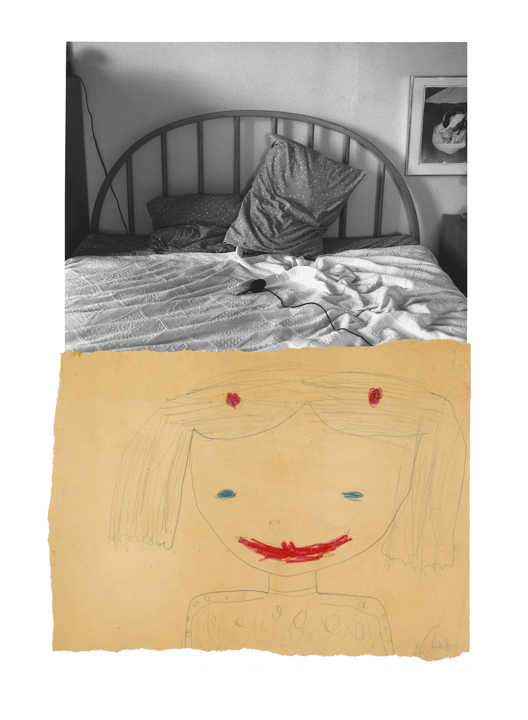 In this series I created a new context and layers of meaning for the images in pieces about place, memory, identity and loss. 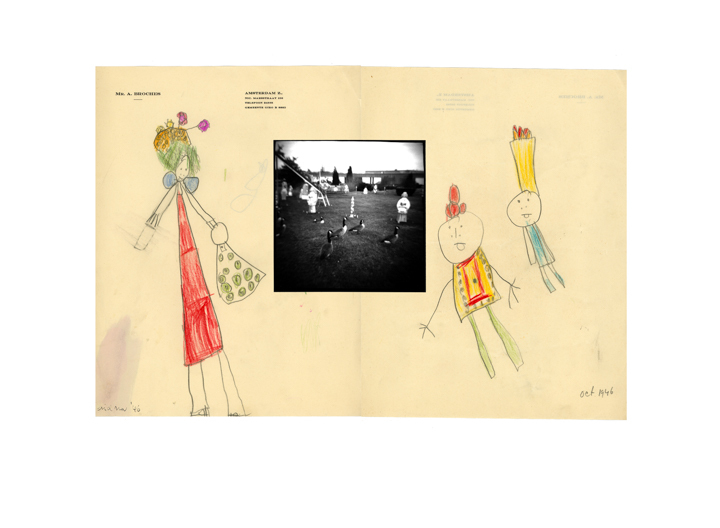 At first it seemed that the drawings themselves should be incorporated into the pieces as I might have used an object, however the drawings were very brittle and fragile. 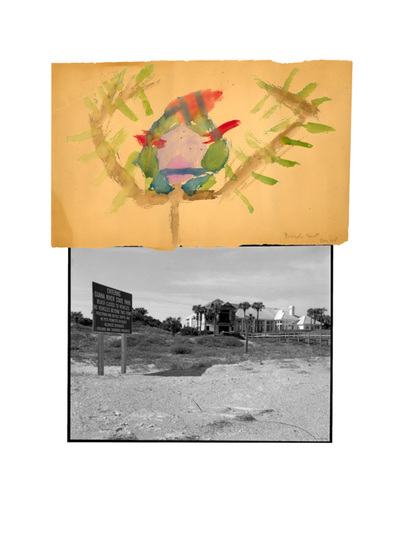 I scanned the drawings and juxtaposed the images with the photographic image in these digital collage inkjet prints.